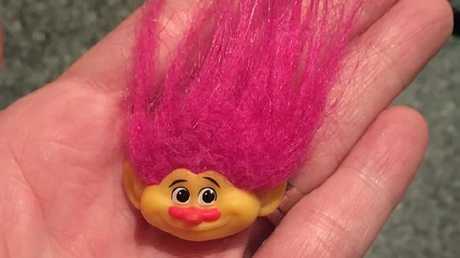 A TOWNSVILLE toddler who swallowed a troll doll may have been inspired by her favourite movie, Trolls. 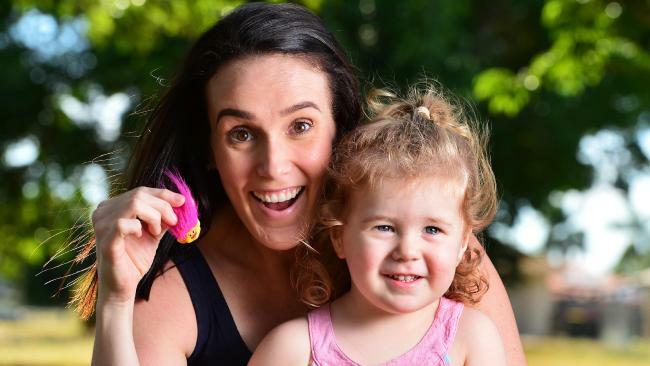 Alice River toddler Eloise Huggett, 2, was last Tuesday playing with her sister Millie's doll when parents Justin and Melanie heard her choking. "We didn't realise she had the troll and then the next minute she started choking," Mrs Huggett said. "The most horrible thoughts went through my mind because when it comes to your kids, you just panic. "But my husband was just so calm and leapt into action to administer first aid to try and get the troll dislodged out of her throat." Eloise was rushed to Townsville Hospital where an X-ray revealed the bright yellow body of the Mandy Sparkledust doll, about 6cm long and 2cm wide, had miraculously made its way safely down into her stomach. Fifteen children a month have attended Townsville Hospital's emergency department this year after swallowing or breathing in foreign objects, including toys, marbles and potentially deadly button batteries. Mrs Huggett said doctors told her Eloise would not require surgery and advised she just let nature take its course. "They said it might be uncomfortable for her as it goes through her intestines but she was fine and it did come out naturally," she said. 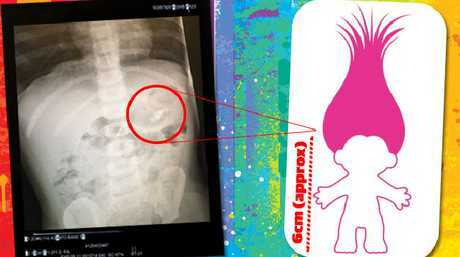 Two-year-old Townsville toddler Eloise Huggett’s X-ray showing the body of Trolls doll in her stomach. Mrs Huggett said that, while she did not think Eloise was old enough to fully understand the movie's story, it was a scary coincidence. "It's a favourite movie of the girls and they do watch it on repeat," she said. "I don't think she's old enough to understand the sentiment but it was just funny how it worked out. "She's known to be a cranky little child sometimes so it was kind of fitting she ate the troll, in a weird way." What’s left of the Mandy Sparkledust doll Townsville toddler Eloise Huggett swallowed. "She was sick the other day and her son tried to make some 'troll soup' to make her feel better but she was like 'no, no, no we don't eat trolls' because they don't make us happy," Mrs Huggett said. "My advice to parents would be just be aware that these kind of accidents do happen … and don't be too hard on yourself if something does happen, just know your first aid." The Bulletin has contacted US-based DreamWorks Animation, which produced Trolls, for comment.